This class is for those who have just purchased an embroidery machine. It is for Singer, Viking & Pfaff embroidery machines ONLY. Topics: You will learn the proper threads, stabilizers and basic hooping techniques to successfully embroider on your machine. 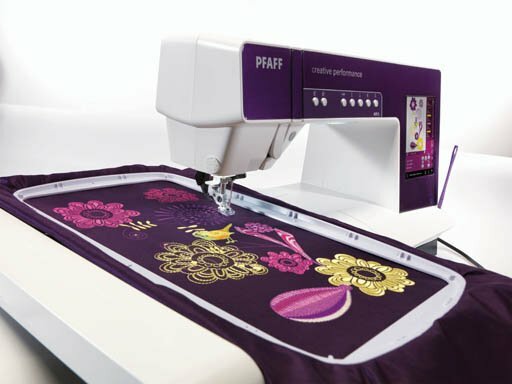 Positioning and manipulating your embroidery designs once you load them onto the machine will also be introduced. You will save and stitch a simple design as well as recover from a variety of failures during your embroidery. Your embroidery thread that came in your complimentary starter pack with your machine. This class is $60 EACH if your machine was purchased elsewhere. This class is for those who have just purchased a sewing machine. It is for PFAFF and HUSQVARNA VIKING current models ONLY.